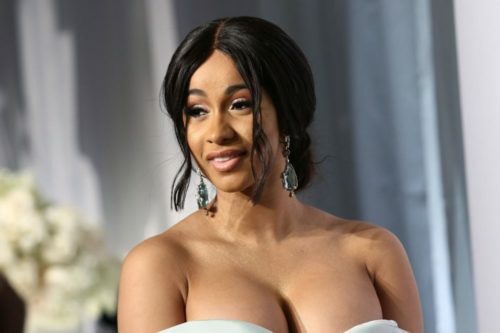 Workers who are going without pay during the government shut down got some major support from Cardi B. The out rapper posted a video on Instagram shaming Donald Trump for ordering some federal workers to work without pay during the now 27-day government shutdown. “I don’t want to hear y’all motherfuckers talking about, ‘Oh, but Obama shut down the government for 17 days,” she said, referring to the 16-day government shut down in 2013 that happened when the Republican-controlled House passed a bill that took funding away from health care access and Senate Democrats stripped the measure of those parts. She compared health care to the reason behind the current shut down: parts of a border wall between the U.S. and Mexico. She does not care about the wall. A federal judge has ruled that Trump can order some federal workers to work without pay. If they don’t go to work, they can be fired. While many of them need money now, they also don’t want to lose their jobs, especially if the shutdown ends soon. Workers might not be able to hold out much longer, though. They owe over $400 million in rent and mortgage payments now, according to one estimate, and they might not have the savings from their government salaries to last through the shutdown. The rant has been viewed almost ten million times.